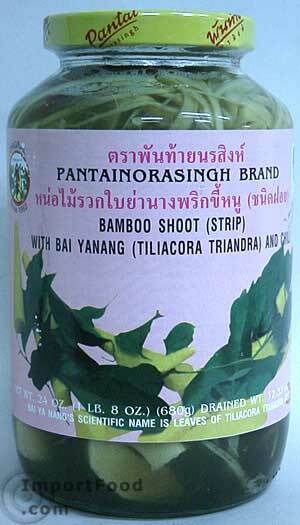 Ingredients: bamboo shoot, water, red chile, bai yanang, salt, citric acid, sodium benzoate. Nice large size. Packed in well-known Pantainorasingh brand.